Rahul Easwar malayalan anchor malayalam anchor profile and biography. Rahul Easwar is an activist who tried to bring some societal changes in the state. He was also instrumental in bringing educational reforms to improve the quality of education in the state. Through his speeches, he tried to speak against the discrimination of tribal people, terrorism, nationalism, education, etc. Hence, he became a feature in various television programs in the state and enthralled the audience with his analytical skills. 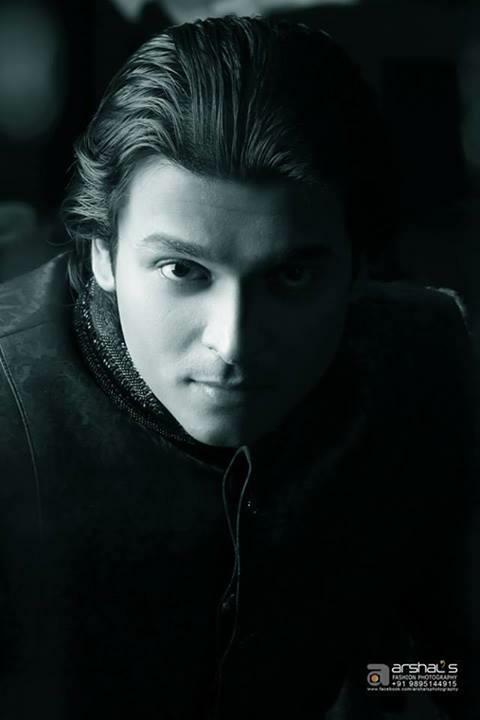 Rahul Easwar is an activist and author from Kerala, India. His original name is Rahul Easwaran Namboothiri. Being a multi-talented personality, he had participated in various news discussions about social-cultural and political issues in the state. He is also considered to be a Right leaning commentator. Rahul Easwar had also advocated for the entry of believers into the Temple, irrespective of their caste and religion. With the broad mind, he had supported the concept of casteless priests and envisaged a day when everyone did Pooja or offerings out of their devotion to God. Earlier in his career, he had also fought for the rights of tribes in Sabarimala and was arrested by the state police. As a young activist, he got involved in a project sponsored by the Kerala State government to increase the quality of education in the State Arts and Science Colleges in the state. Recently, he has also won a reality show titled Malayalee House, which tested the all round personalities of its participants. This reality show was broadcasted on the popular television channel Surya TV of Sun TV network. Rahul Easwaran Namboothiri was born into a family of priests in the Kottayam district of central Kerala. His parents were late Easwaran Namboothiri and Mallika Namboothiri. His grandfather Kantararu Maheshwararu is the head priest of the famous hill shrine Shabarimala. He had his formal education and schooling in a reputed school in his hometown. After completing his formal education, he joined a junior college for completing his graduation in Economics. Later on, he went abroad to do a post graduation in Economics. For this purpose, he joined the prestigious London School of Economics and successfully completed the postgraduate degree course from there. After his professional training in Economics at London School of Economics, he decided to return to the state to contribute something to the state. While working for a television program in the state, he happened to meet Deepa Vijayan and fell in love with her. To fructify their relation and take it to the next level, they got married in Thiruvananthapuram. Once he returned from the United Kingdom, he got himself embroiled in various cultural and political activities in the state. For this, he had the moral backing of his family members. Occasionally, he helped his grandfather to perform the basic poojas at the hill shrine Shabarimala. Often, he took a moral stand on important topics that affected the social fabrics of the state. This included his participation in a movement that fought for the rights of the tribal people from the sacred hills of Shabarimala. This movement had generated a political storm and controversy in the state. Because of this, the state government had to take some stance on this matter. Due to the immense pressure from the people from all walks of life, the Kerala government decided to listen to some issues and took some concrete administrative steps to implement them. Though Rahul Easwar was born in an upper caste, he always believed in giving equal opportunities to all the members of the society, irrespective of their affiliation to caste, creed or religion. Following this philosophy, he wanted to bring reforms in the selection of priests in the state under various Devaswom Boards in the state. Hence, he advocated for the appointment of casteless priest in the temples of the state. According to him, everybody had the birthright to worship the God or Goddess he or she believed in. Because of this relentless campaign, the Kerala government had established Vedha Padashalas for training the non-Brahmins on various rituals and techniques associated with Hindu religion. The government wanted to appoint those people who have successfully passed this training in various temples of the state. As a result of his activity in the cultural arena of the state, he got an image of an eligible bachelor in the state. Because of this image, he was liked by the youngsters of the state. Apart from these activities, he had also worked in other areas such as poverty alleviation, health care for the poor, etc. When Rahul Easwar came back from abroad after completing his post graduation, he happened to come across the few youngsters in the state and interacted with them. From that interaction, he could make out that the quality of education given to the youngsters in the state was not good enough to make them stand in good stead in this competitive world. Hence, he started interacting with other like-minded people to get their views on this matter. With their help, Rahul tried to create awareness about this amongst the youngsters in the state. This silent movement in the academic circles forced the state government to act swiftly. As a result, the state government commissioned a project to sponsor the academic transformations of the State Arts and Science Colleges. This academic project had the mandate to implement the required steps to improve the quality and standard of education provided by these colleges. Recognizing his role in this movement, the state government made him a volunteer who monitored the transformation this project was bringing in the state. Due to the prudent steps taken to improve the infrastructure and quality of teaching at academic level, some palpable improvement was seen in the quality of education provided to the students in various colleges of the state. Apart from a professional training in Economics from London School of Economics, Rahul Easwar had specialized in topics such as Philosophy and Psychology. Following these specializations, he had authored several books on topics such as Vedanta, Education, Lifology, Philosophy, Indian Culture, etc. Due to this varied experience, he was employed by a corporate house of the state as its corporate trainer in its premises. In the training department of this corporate house, he taught the basics of management and psychology to the aspiring managers and employees. Apart from these, he has also seen in the social circles of the state as an able orator. His oratory on the topics such as Vedanta, Spirituality, Anti-terrorism and Nationalism had been well appreciated by both general public and creamy layer of the society. His speeches were well recognized not only in the state but also in entire South India. His speeches on various topics were characterized by his grip on those topics. He cited examples and related topics in his speeches to make them convincing to the audience. Hence, his speeches were liked by the people at the venue. To start with, Lifology is a branch of Philosophy that deals with the study of human life. In clearer terms, it can be defined as an enquiry into the nature of human life. Through this branch of Philosophy, people tend to study lifestyles, relationships, belief systems, education, etc. According to Rahul Easwar, the practitioner of this discipline in real life, people systematically and scientifically analyze various angles of human life to understand the real meaning of human existence. Rahul further stated that the multi-angled study helped the people to solve various issues that happen in their lives to lead a stress-free life. Hence, it was named as a positive science. Being an outspoken person, Rahul Easwar has participated in various talk shows, news analysis programs, meetings and symposiums. In these platforms, he carefully articulated his views on various topics. Because of this, the shows in which he featured often bagged good ratings. Also, he had anchored various reality shows well. Because of this, he became one of the identifiable faces in television media. For this reason, his work in the media and entertainment industry got the appreciation it deserved. In recognition of the service rendered by him, he was awarded with Vivekananda Puraskar for the Youth Icon. This award was instituted by the Government of Goa in the name of the great visionary of Pre-independent India Swami Vivekananda. After a while in the media industry, he also moved into the movie industry as an actor. Though he moved into the movie industry only recently, he had acted in one movie by the name Butterflies as a child artist. The other movies acted by him include Attetham (2007) and Virunnu. Rahul Easwaran Namboothiri is a noted anchor, an orator, an education activist and a social activist from Southern Kerala. His grandfather is the head priest in the famous hill shrine of Shabarimala. He is the Alma Matter of London School of Economics. Other areas of his interest include Philosophy and Psychology. Having learned the latter two subjects, he got interested in Lifology and became the proponent of the same in the state. According to him, the basic problems of peoples' life could be solved by scientifically and objectively studying their behavior in the society. Though born in an upper caste family, he had a broad mind towards the well being of the society. He stood for the equality of all people in the society. Through is actions, he advocated for the universal brotherhood and opening of the temples of the state for non-Brahmin priests. Thinking along the same lines, he fought for the rights of tribal people living in the holy hills of Shabarimala and got some of the rights reinstated for them. He is also known for his oratory and analytic skills. These skills came handy for him whenever he took part in discussions and presentations. Due to these skills, he became a known figure in South Indian media houses. During his early years he even took part in academic revolutions that aimed to bring quick reforms to bring qualitative change in the educational system.